Help families evacuated due to Mount Ile Lewotolok's increased seismic activity in Lembata, East Flores Indonesia. A surge of seismic activity at Mount Ile Lewotolok starting on the 9th of October 2017 resulted in authorities raising the volcano’s alert status to ‘siaga’ or level 3 (alert) from ‘waspada’ or level 2 (normal) on Monday the 10th of October, indicating a higher probability of erUption. 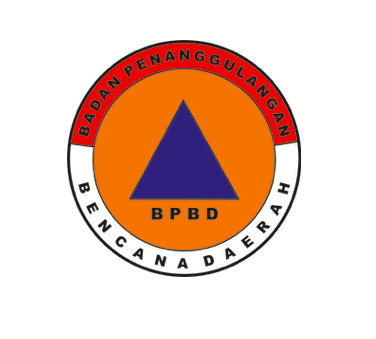 The Regional Disaster Management Agency (BPBD) of Lembata recorded at least five quakes from Monday, 10 October 2017 to Tuesday, 11 October 2017 with magnitudes ranging from 3.9 to 4.9 on the richter scale, causing people to flee from affected areas. In addition to damaged buildings, the 2.3-kilometer highway was also covered with large rocks, disrUpting access to earthquake-affected villages. A total of 26 villages in Ile Ape and Ile Ape Timur sub-districts, located around Mount Ile Lewotolok were affected by the quake. Kopernik team members in Lembata reported the urgency of the situation and the increasing number of evacuees. They notified us that 429 people are currently staying in a shelter located in the Lembata Regency Office. Of the 429 people, 123 are women and 38 are infants. Two of the women are pregnant and six are breastfeeding mothers. We are providing 22 Nazava XL water filters to provide clean and safe drinking water in the evacuation centre and 100 d.light A2 solar lights to provide a bright and reliable source of lighting in tents at night. We have also provided essential daily supplies for women with infants such as diapers and wet wipes as well as masks in case of eruption and tarpaulins for further shelter. Evacuees received basic food supplies from the Kopernik team in Lembata. We collaborated with The Regional Disaster Management Agency (BPBD) of Lembata, the local government, and the local communities to distribute the technologies. These local organisations worked together to distribute the technologies to the evacuation center, reaching more than 4,000 people. The evacuees were spread across a few evacuation centers in Lembata Regency, which made it challenging for the team to distribute the technologies evenly. Not all evacuees were present when the team conducted a training to explain the technologies, so the team had to repeat the training. When the volcano’s alert status lowered and the evacuees were permitted to return to their villages, we initially planned for the Regional Disaster Management Agency (BPBD) to keep the technologies, so they could be used by them for future emergency needs, but instead the BPBD distributed the technologies to the villages without listing the beneficiaries that received them. This made it difficult for the team to track down the technologies for monitoring and evaluation purposes.